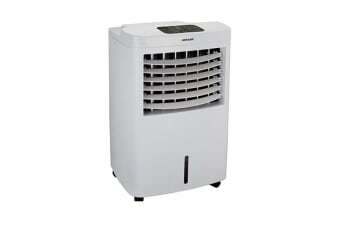 Read customer reviews of the Heller 12L Evaporative Cooler with Humidifier and Remote (HECS12). After a purchase, we invite our customers to leave a product review. The customer reviews for Heller 12L Evaporative Cooler with Humidifier and Remote (HECS12) are below. Great value. Easy to operate and functions really well. This is important as it was bought for my elderly parents. Exactly what I was looking for. Works really well. Very pleased. Just what we need to cool the bedroom area down. I thought i would need it at where I was moving to. Only to find I had airconditioning.